1.1. 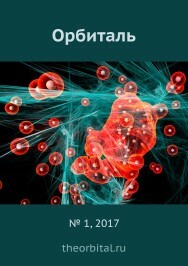 The present Regulation on reviewing scientific articles determines the manner and procedure of review of the author’s original articles (materials) submitted to the editorial Board of the electronic scientific journal “Crimean scientific Bulletin” (hereinafter – Journal). 1.2. Reviewing (expert assessment) manuscripts of scientific articles in Journal is carried out in order to ensure and maintain a high scientific-theoretical level of the publication and to select the most valuable and relevant (prospective) research papers. 1.3. Peer review is required for all submitted for publication in the journal materials. Author is a person or group of persons (group of authors) involved in creation of article according to scientific investigation’s results. Chief Editor is the person who heads the editorial Board and final decision regarding the production and issue of the magazine. Executive Secretary of the editorial specialist, organizing and controlling editorial planning, timely and qualitative preparation of materials for publication. Plagiarism is the intentional appropriation of authorship of another product of science or art, foreign ideas or inventions. Plagiarism may be a violation of copyright law, patent law and as such may entail legal responsibility. Editorial Board is a deliberative body of a group of distinguished individuals which the editor provides assistance in the selection, training and assessment materials for issue. Expert is Peer reviewer acting on behalf of the scientific journal or publisher, makes scientific expertise of copyright material for the purpose of determining the possibility of their publication. Review is review procedure and peer review peer reviewers proposed to publish a scientific article the purpose of determining the advisability of its publication, identify its strengths and weaknesses, which is important for improvement of the manuscript author and editor. 2.1. Editorial Board accepts for consideration articles and materials that reflect scientific views, results and achievements of fundamental and theoretical and applied research in the area of economic, legal and pedagogical sciences, corresponding passports specialties of Ministry od education and science 08.00.00 «Economic science» 12.00.00 «Legal science», 13.00.00 Pedagogy science. Materials that are not relevant to the topic listed subject areas, will not be accepted. 2.2. 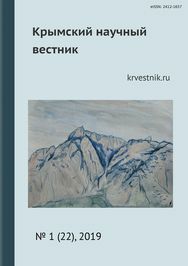 Manuscripts are accepted for consideration provided that it meets the requirements to author’s original articles (materials) published on the journal’s website at the address http://krvestnik.ru/avtoram/pravila/. 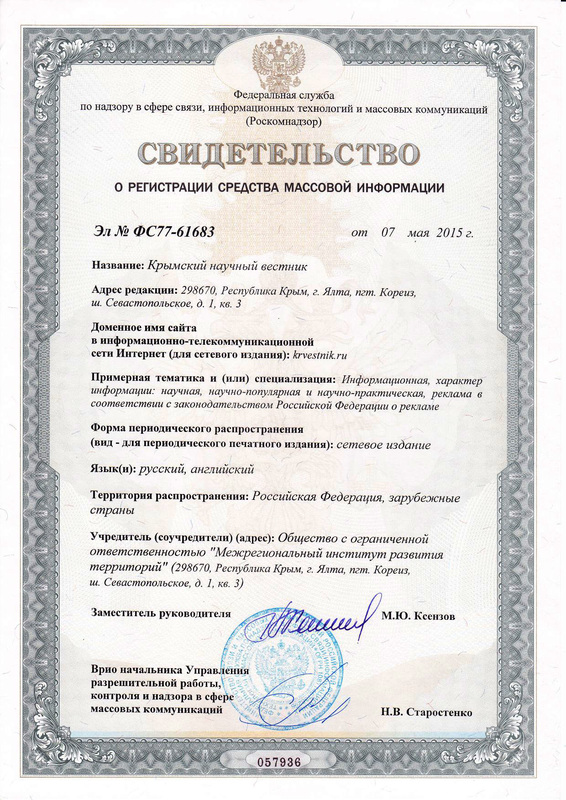 publication form according to the shape, at address http://krvestnik.ru/pub/2015/08/Zayavka.doc. 2.4. The article should not be contain confidentiality information. The confidentiality character is grounds for rejection of material from the open publication. 2.5. Executive Secretary notifies authors about acceptance of materials for publication within three working days. If necessary, to revise the materials the author sent reasoned observations by the expert, which will enhance the scientific level of the presented material. 2.6. Manuscript of scientific articles submitted to the Editorial Board is considers an Executive Secretary for completeness of the package of the submitted documents and conformity of the manuscript (article) to the requirements of the editorial Board, the journal format and design. In the case of non-compliance the article can be sent to the author for revision. 2.7. 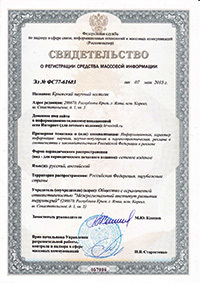 Corresponding to the profile of the journal and requirements to the article is registered by the Executive Secretary in the registration book submitted to the office of the manuscripts with the date of receipt, name, surname and patronymic of author(authors), affiliation of author(s) and reviewed. 3.1. All articles submitted to the journal are subject to mandatory review (peer-reviewed). 3.2. Referees are the members of the editorial Board, as well as scientists, having recognized authority and working in the field of knowledge to which the content of the manuscript, have in the past 3 years publications on the subject of the reviewed article. Invited experts must have a doctorate degree or PhD, or equivalent scientific degree. 1st level – checking the article text for the presence of borrowed text is mandatory for all articles. The editorial Board reviews every article with the help of a program Etxt Antiplagiat. When the original text is below 70% (while borrowing from one source may not be greater than 10%) the article is sent back for revision with appropriate justification. Not allowed borrowing from sites student work. 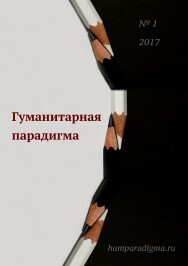 In articles of the rubric «Pedagogical science» allowed the originality of the text of at least 60%, where perhaps a broader citation of the analyzed works, with the obligatory reference to it. 4th level – double blind peer-review (double-blind – the author and reviewer know about each other) is used for all the authors who are not graduate students, who provided reviews. In this case, the article is assigned a number and is sent to the referee Secretary of the editorial Board without giving information about the author (name, position, place of work/study). Under the same registered number obtained from expert reviews. 3.4. The examiner should consider him towards the article within two working days and send to the editorial office by e-mail review. — does not recommend the article for publication. 3.7. If the expert recommends the article for publication after rework/rectification of deficiencies or recommend the article for publication in the review must state the specific reasons for such decision with a clear formulation of the substantive and/or technical deficiencies identified in the manuscript, indicating specific pages, if necessary. Comments and suggestions of the reviewer must be objective and principled, aimed at improving the scientific and methodological level of the manuscript. 3.8. Reviewing submissions to the journal is carried out with confidentiality, and the reviewer’s name, position and place of work the author(s) not reported. 3.9. The originals are kept in the magazine for 5 years. At the request of the Ministry of education and science of the Russian Federation (the Ministry) review must be submitted to the Higher attestation Commission and/or the Ministry of education. 4.1. After receiving the reviews at the next meeting of the editorial Board discusses the received articles and the opinions of the reviewers, the final decision about the publication or refusal to publication. The decision of the Editorial Board shall be taken by simple majority of votes. In case of equality of votes, the vote of the chair shall be decisive. The quorum for decision making is set at 50% of the total number of members of the editorial Board. Meeting of the editorial colleagues can be held in videoconference mode. 4.2. The final decision on acceptance or rejection of the editorial Board of the journal draws attention to the urgency of solving scientific problems. The review should clearly describe the theoretical or applied significance of the study, to relate the author’s conclusions with the existing scientific conceptions. Necessary element of the review is to assess expert personal contribution of the author to the problem solution. It is worth noting in a review of the correspondence of style, logic and accessibility of presentation, scientific character of the material, as well as the reliability and validity of the findings. The review ends with an overall evaluation and recommendation for publication, revision or reasoned rejection of the material. 4.3. On the basis of a judgement of the author(s) on behalf of Executive Secretary sent a letter to the email address with the review, which provides an overall assessment of the article and sets out the decision about submitted by the author(s) of material (reasoned refusal, information about the acceptance of the article for publication, or for information about the possibility of publication after revision and correction of faults). 4.4. If the article can be published after revision and rectification of deficiencies in a letter with recommendations on the revision/removal of comments. Reviewers and the editorial Board does not enter into discussions with the authors about the comments made. 4.5. The article directed by the author(s) in the editor after revision/removal of comments, is re-reviewing to the same reviewer, or others appointed at the discretion of the chief editor. 4.6. In case of manuscript rejection by Editorial Board sends the author a motivated refusal within one working day after receiving the review. The article not recommended reviewer for publication, to be re-reviewed.